Rocky Patel 2006 Vintage Cigar - Buy Premium Cigars Online From 2 Guys Cigars . The Rocky Patel Vintage 2006 San Andreas marks the launch of a new Vintage brand crafted out of Rocky’s boutique Nicaraguan factory. 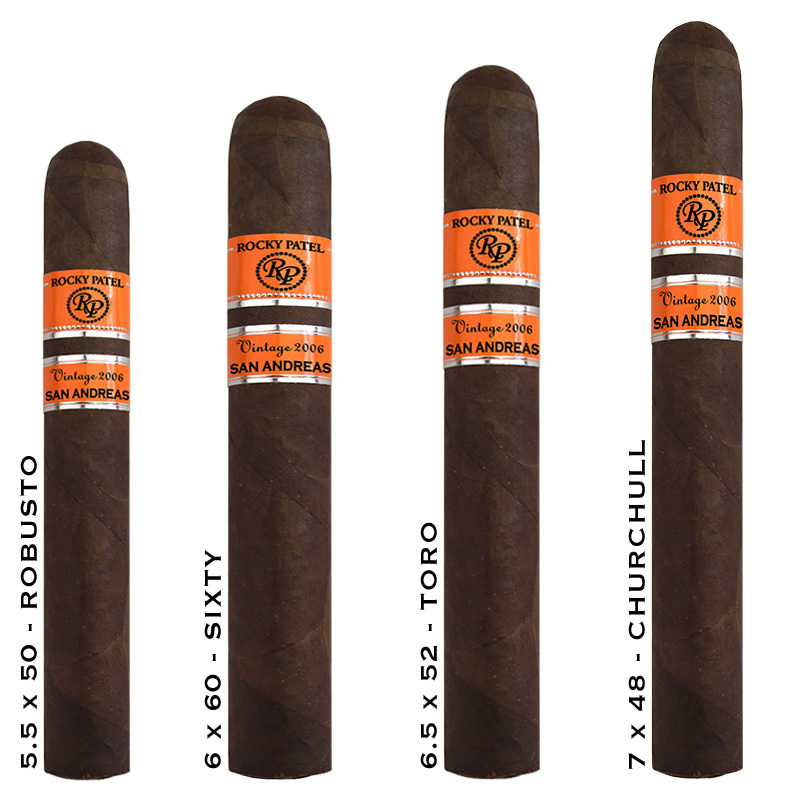 The blend comprises an 11-year-old Mexican wrapper from the prominent San Andrés region, along with Nicaraguan fillers and a Connecticut Broadleaf binder. The result is a spicy, medium to full bodied smoke with a rich, leathery finish.